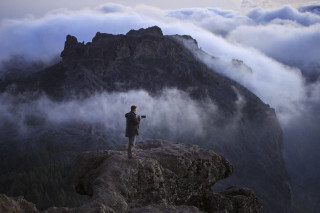 Hike in the clouds and learn how to take the best photograph of mountainous landscapes, thick forests, and Gran Canaria's iconic Roque Nublo. This lesson is available one on one, or for groups as large as 4. You may bring your child/children to walk with you, or he or she can participate in the lesson. Please enter your accommodation address in the booking form, and the exact pickup time will be confirmed. You may choose the time of your tour. However, early morning and sunset hours are recommended for their spectacular natural light. Please wear athletic shoes, layers for the change in elevation, and your fully charged camera with memory card. If using an analog camera, please bring extra rolls of film with you. Participants should have a decent level of fitness. You can cancel up to 24 hours in advance with 100% reimbursement. There is no reimbursement for later cancellations. 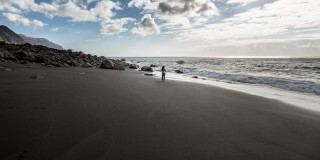 Most people might visit islands for the beaches. 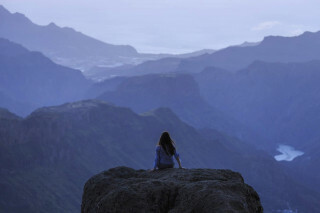 But with volcanic features, dense forests, and dramatic valleys, Gran Canaria is no typical beach escape. Capture the most iconic natural settings of this diverse island on a private photography lesson to strengthen your skills or learn the basics. Your instructor for the lesson picks you up to begin the adventure. Bringing 20 years of photography experience, including exhibitions and awards, with him, your lesson will be filled with passionate discussion and expert advice. The day's topics revolve around your preferences and skill level. Together you drive to the center of Gran Canaria to Nublo Rural Park, the largest natural area on the island and a UNESCO Biosphere Reserve. 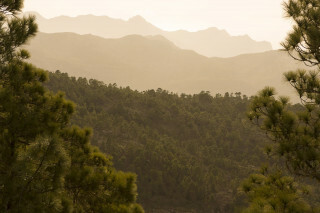 Hike through trails among think pine forests and climb higher and higher until you reach a mysterious fog. 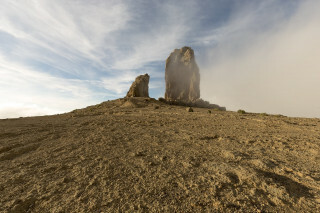 Towering at 80 m (262 ft) tall, you'll know Roque Nublo or "Cloud Rock" when you see it. As one of the largest free-standing rocks in the world, this iconic structure formed from a volcanic eruption 4.5 million years ago. After you marvel at its size, practice photographing the Roque Nublo with the guidance of your instructor. Keep walking and you'll find an excellent view of the Caldera de Tejeda, a 28 x 18 km (17 x 11 mi) crater covered in a jagged rocky surface. 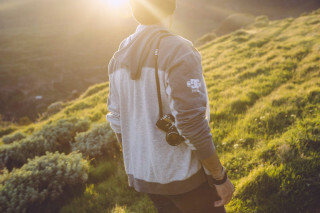 Along the trail, take in the panoramic viewpoints of layers upon layers of mountain ridges. Take your lesson in the morning or the evening to catch this 26,000 hectare (100 sq. mi) park in a colorful angled light. Keep your eyes out for hermit villages hidden among the pines. 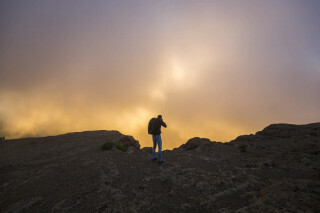 Discover Gran Canaria's volcanic character through your lens and work with a pro to get your very best shot. 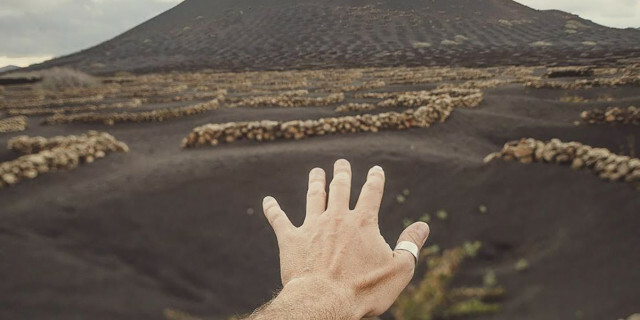 While it's unlikely the volcanoes will erupt, at least you'll know how to take fantastic photos of the spectacle. 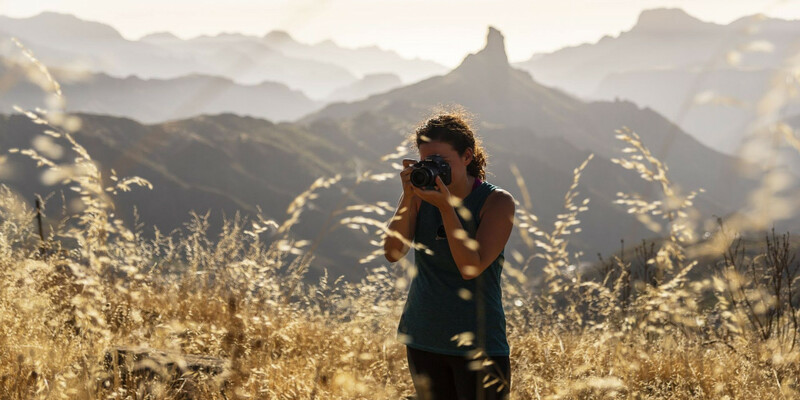 From land to the sea to the city, this private lesson lets you practice all types of photography and as you explore the enchanting east side of Gran Canaria. 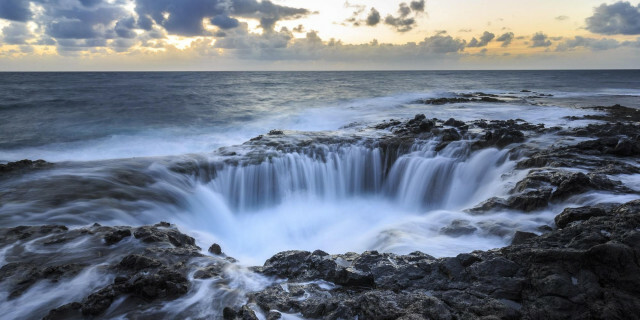 Create your own compositions of the intricate and peculiar volcanic formations of Lanzarote on a private photography lesson with an expert. 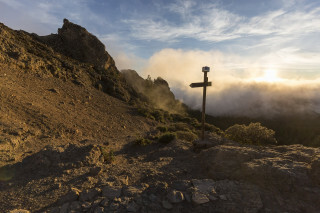 Wander with your lens through the dense forests ravines, along sandy coasts near high gorges, and through mountain villages on a private photography lesson through Gran Canaria.